Youth (16 - under 21yrs) - Youth competitors must be 16 years of age (as at the date of the event) and under 21 years of age on 31 December 2019. Grand Masters (65 and over) - the age is to be determined as at 31 December 2019. Hobie Pro Angler 17T (Teams Event) Hobie PA17T anglers will not be in the running for the Open division prize pool but will have their own sponsor prize packs. Anglers shall be required to fill out their online entry, please add your date of birth and tick the appropriate division which you are eligible to compete. There must be a minimum of three anglers entered in a division for a winner to be declared and a sponsor prize pack to be awarded. An angler must have caught and weighed-in a minimum of one legal fish to be declared the divisional winner. All divisional entrants are still eligible to win prize payouts and prize packs in the main field of anglers. If you are entering a Hobie Kayak Bream Series tournament for the first time you have the option to have a First Timer Entry. But you are still required to have a Hobie Membership Club number. Hobie Membership is FREE and instant. "First Timer Entrants", are not eligible for prizes and your scores will not be recorded. As a new angler to the series you may still pay your entry fee, and be eligible, like all other entrants, for prize pool payouts and sponsor prize packs. In a move to reward the older generation of anglers for their support, and as a way to introduce the series to a younger audience we offer new reduced entry fees to the Grand Masters division (65 and over) and Youth 16 years of age. Youth competitors must be 16 years of age (as at the date of the event). Your entry form and payment shall be completed by midnight (AEST/AEDT) Friday the week before the event (7 days) to avoid the late payment penalty. On completion of this form, click the add to cart button, you will be directed to the checkout page. Please review your details. The entry fee (per PA17T), for on-time entries, will be $100.00 for two day events. are eligible to receive a discount. Coupon codes are no longer being used - receive your division discount during checkout. A full payment via PayPal is required to be eligible for entry. All other entries require full payment within 24 hrs of submission to be eligible. 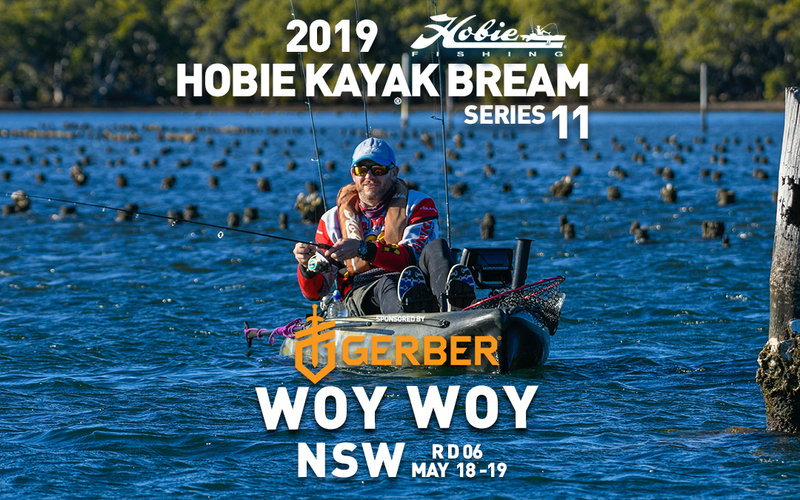 If you require an alternate payment method, please contact Hobie Fishing at: entries@hobiefishing.com.au We look forward to seeing you on the water. Please log in to your account or create one before entering into this round. Yes, I have read the 2019 tournament rules and agree to abide by them. Livewells shall have a minimum capacity of 23L with a functioning, battery operated, intake pump. Livewells smaller than 23L in capacity will result in disqualification. Yes, I am aware of the livewell requirement. All entrants in this event must agree with the liability waiver and model release. If you are entering an event on behalf of someone else, you accept the liability waiver terms and model release on their behalf. If an entrant is aged under 18 years, the liability waiver and model release will be viewed and agreed to by their legal guardian in order for them to compete in their event, and that their legal guardian will be responsible for their safety during the event. If you do not accept the terms of the liability waiver and/or model release you must cancel your entry transaction now. I give Hobie Cat Australasia Pty Ltd and parties designated by Hobie Cat Australasia Pty Ltd, including clients, licensees and purchasers, the right to use my name, photographs and video of me for sale to any medium for the purposes of advertising, trade, display, exhibition, social media, television or editorial use. I have read the Model Release and fully understand and agree to its content. The responsibility for a person to participate in the Hobie Kayak Bream Series is his or hers alone. I am conscious of the dangers inherent to kayak fishing. I agree that none of the organisations or persons involved with the Hobie Kayak Bream Series including Hobie Cat Australasia Pty Ltd, sponsors, promoters, or any other involved persons or parties accepts liability for damages due in negligence or any other reason whatsoever while conducting or connected with this event for injury, to property or person, I may suffer while participating in the tournament and while upon the event premises. I know the risks of danger to myself and my property while preparing for and participating in the tournament, and while upon the event premises, relying upon my own judgement and ability, assume all such risks of loss and hereby agree to reimburse all costs to those persons or organisations connected with this tournament for damages incurred as a result of my negligence. Furthermore, I agree to be bound by the Hobie Kayak Bream Series Rules and any other rules that govern this tournament. The organising authority will not accept any liability for material damage or personal injury or death sustained in conjunction with or prior to, during, or after the tournament. These terms do not operate to exclude any provision of the Australian Consumer Law that applies and cannot be excluded by agreement. I have read and understand the Liability Waiver agreement and will abide by the conditions in the agreement. ATTENTION: If any of your details are incorrect, they must be changed via your account and not through this form. As always, if you are having problems or issues entering this tournament, contact us at entries@hobiefishing.com.au. All entrants are automatically entered into the Open Division. Please select from one additional Division below if you intend to enter the Youth, Women's, Master's, or Grand Master's Divisions. Please select only one. NOTE: if you are planning to enter as a 'first timer' you MUST select First Timer as your Division below. ATTENTION: You have entered into a Division only. You will apply your division discount during checkout. Because you are under 18 years old you must supply the following information. ATTENTION: For your safety your Emergency Contact must not be an angler on the water in this event. Please note: This information is purely to assist in the event of an emergency and will be kept in the strictest confidence. You are responsible for supplying your own medications as required for your condition. Please provide any medical condition details we should be aware of.